It is so gloomy out today, I wish I could be back on vacation! 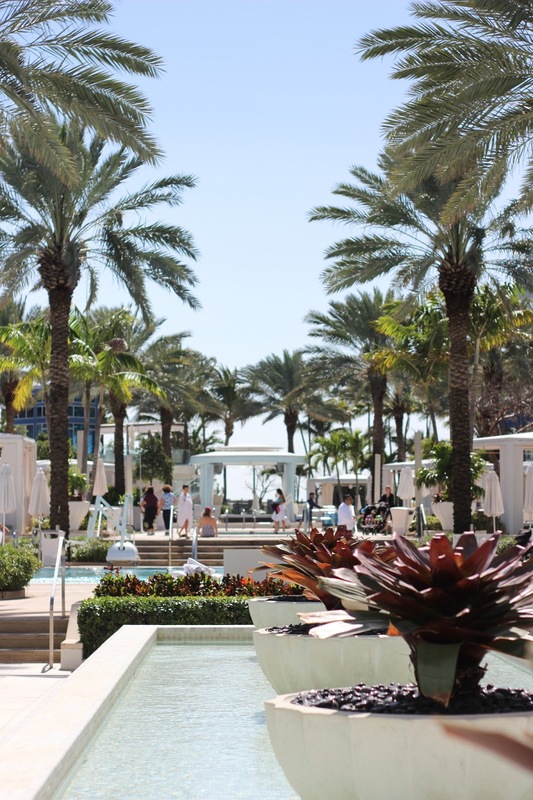 The next part of our Florida trip we went to Miami Beach and stayed at the Fontainebleau. We stayed in one of the suites which is basically an apartment. It had everything! Two full bathrooms with a Jacuzzi bathtub in one of them, a full kitchen with a dishwasher, a wash/drier, two balconies with an ocean view. It was seriously so nice! The Fontainebleau also had beautiful decor all throughout the hotel. They also has the biggest pools. I think there was about seven different pools not including the hot tubs and kiddy pools. Plus beach access. I actually was laying on the beach for a little one day (they have umbrellas and chairs all set up) but there was a lot of birds and they were getting to close for comfort, so I had to leave haha! You have to wear a beach coverup when walking through the hotels (it's their policy) so this one from Pitusa was perfect! They have a variety of different colors and styles, it was so hard for me to pick just one! I also just love this maxi dress as a dress, but its see through so that isn't an option. But lucky me, they have one you can wear as a dress that isn't see through! I wore the Kylee one piece from Rad Swim (wore another one of their swimsuits here) under the coverup. I love the retro vibe with the super sweet mint color and ruffles! I received a ton of compliments well wearing it, and overall thought it was very flattering.